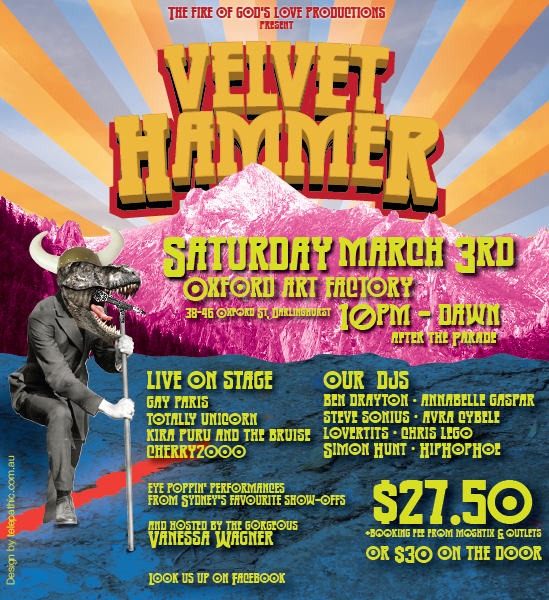 Velvet Hammer – The Mardi Gras Alternative (for the sleazy and greasy). Easy peasy, greased up and sleazy! FACEBOOK EVENT – so your friends know how rad you are!